If your child would like to stay for both the morning and afternoon sessions of fun-filled art workshops, be sure to sign up for our supervised lunch hour and pack a lunch. All children should "Dress for a Mess" and bring a snack. NOTE: Please ensure that any snacks and lunches that your children bring to the Museum are free of peanuts and tree nuts! The Museum is delighted to be one of ten venues participating in the inaugural Princeton ArtWalk, a casual, self-guided way to discover the vibrant visual arts scene in downtown Princeton. Whether you visit one or all ten venues, the quarterly Princeton ArtWalk is an opportunity for campus and community alike to enjoy the arts scene in a new way—after hours and free of charge. In Princeton, art is always just a few steps away. As part of the Princeton ArtWalk, the Museum is offering an exciting evening of Japanese art and culture, in conjunction with our special exhibition Multiple Hands: Collective Creativity in Eighteenth-Century Japanese Painting. Join them for Japanese culinary specialties, a sake tasting, live entertainment, and scavenger hunts. Students will lead gallery tours from 5 to 6 PM. Bring the family to the Museum on Saturdays from 10:30 AM to 1 PM for drop-in art projects and self-guided tours. The programs are free and open to all. Call the Museum's Education Department at 609.258. 3043 or visit website for more information. November 5: How's the Weather Today, Monet? Learn about French Impressionism and create a three-dimensional landscape inspired by Claude Monet. Discover Japanese art in the Museum's collections and decorate a scroll. Hear stories from around the world and make a puppet for your own theater. Featuring 28 photographers, the focus of Photography 11 Exhibit and Sale will be on SIZE with works having an image size of 11”x14”, according to Kristina Lloyd, of Basking Ridge and curator of the exhibit. Most of the photographs are in black and white. Photographers in the show include Katie Corrigan, Filip Everaert, Frank Gubernat, Cinder LeDell, Jean Leigh, Hilary Klimek, Lorraine Regan, Kathy and Patsy Ragonese, and Mahvash Saba of Basking Ridge; Jeff Bosie, Holly Fazelat, Nino Gjivoje, and Gail Mardfin of Bernardsville; Joanne Devine of Elizabeth, Michael Downey of Somerville, Kathleen Kirchner of Stanhope, Richard Koch of West Orange, Parvathi Kumar of Bridgewater, Gary Martin of Warren Township, Sher Weston Stec of Long Valley, Mary Staudmyer of Morristown, Judy Shanahan and her two children Abigail and Fiona of Warren, Mike Tesi of Madison, Joe Torres of Miami Florida and Diane Whitebay of Montclair. In addition to photography, other artists will display their work. Works include nature-themed votive candleholders by Patrick Healy of Bernardsville, ceramics by Susanna Kopchains and beaded jewelry by Kristina Lloyd of Basking Ridge, decorative handmade lampshades by Jon Martinez of Millington, and artistically interpreted and restored furniture by Andrea McKenna of Jersey City. On Sunday, November 6 from 1-4 PM, Holiday Family Portraits by professional photographer Hilary Klimek of Basking Ridge will be offered just in time for the holidays. Family portraits will be taken in front of a winter setting designed by Back-to-Nature of Basking Ridge. The $50 sitting fee includes three digital photos that will be e-mailed to participants. There is a limit to 5 people per sitting. Housebroken pets are welcome. Reservations are encouraged, however, drop-ins are welcome based on availability. Call 1.347.927.8748 to book an appointment. On Saturday, November 12 from 1 – 5 PM there will be an Artists Boutique featuring live music by singer/songwriter Maura Glynn (right) and singer/instrumentalist Shannon Glynn of Bernardsville and affordable pottery, paintings, beaded jewelry, luminaries, candles, jewelry, furniture and photography for sale. Refreshments will be served. For a complete list of Farmstead Arts events and classes, visit www.farmsteadartscenter.org, or visit Facebook. For more information, e-mail farmsteadartscenter@gmail.com, or call 1.347.927.8748. The Farmstead Arts farmhouse is wheelchair accessible. Anyone anticipating the need for additional accessibility services is requested to make a request by sending an e-mail to the farmsteadartscenter@gmail.com at least three weeks in advance. To purchase tickets or for more information, call the Box Office, 908.725.3420, or order online at www.rvccArts.org. A variety of subscribers’ packages are available for all Theatre series. Senior citizen, student and group discounts are also available for a variety of performances. The evening will feature the outstanding talents of the Nimbus Dance Works, Randy James Dance Works and Lustig Dance Theatre. The presentation is part of the Theatre’s 2011-2012 Major Artists Series. Ticket holders for Dances from the Garden concert are invited and encouraged to arrive early for a brief and informative preview of the evening. For the eighth year in a row, Courier News readers voted The Theatre at RVCC as the “Best of the Best” in 2011 in the “Theater” category. RVCC’s main campus is located at 118 Lamington Road in Branchburg, NJ. Serving Somerset and Hunterdon County residents for over 40 years, the College offers more than 90 associate degrees and certificates. RVCC @ Bridgewater, located at 14 Vogt Drive, offers technical, trade, credit and non-credit courses. For further information, visit www.raritanval.edu. *This black box festival is an artistic fundraiser—to help South Street Players maintain its commitment to producinghigh-quality, entertaining theatrical experiences for the 2011-12 season…and beyond. An Upbeat review of the Musicals of the New Millennium. Broadway musical that starred Danny Kaye with a book by Peter Stone, lyrics by Martin Charmin, & music by Richard Rogers. Call the UC PAC Box Office at 732.499/8226 to make a reservation. Presented as part of Rahway Arts District's 1st Thursday events. Juan Carlos Formell represents the third generation of one of Cuba's most important musical families. The grandson of Francisco Formell, the arranger for Ernesto Lucuona's Cuban Boys, and the son of Juan Formell, founder and leader of Los Van Van, Formell has clearly inherited the musical skills of his ancestors. See why Cinderella is one of New Jersey Ballet’s most popular ballets for families. This beautiful full two-act ballet has a beautiful Cinderella, a handsome Prince, two wickedly funny stepsisters, and a Pumpkin that turns into a Coach before your very eyes! All accompanied by original ''storyteller'' narration so even the littlest ones can keep up with ease. with this delightful fairy tale ballet by New Jersey Ballet Company. Visit the website http://www.njballet.org for more information. The Mighty Little Wurlitzer will be played for the first time in five years. FREE ADMISSION: A Ticket is Required for Entry. Click here to download the Free Movie Night flyer with your ticket. Before and After the movie. Ben Moden is one of the USA's leading silent film accompanists, and has been playing piano and organ for silents at the Museum of Modern Art in New York for the past 27 years. Ben co-curated MoMA's "Cruel and Unusual Comedy"series and Roscoe "Fatty" Arbuckle retrospective, and also curated Shout! Factory's new "Ernie Kovacs Collection" DVD box set. A five-time recipient of the Meet The Composer grant, Ben is a regular accompanist at classic film festivals around the U.S.A. and in Norway, and performs at universities, museums, and historic theaters. Ben is the producer and co-founder of The Silent Clowns Film Series, now in its 14th season in NYC. Ben's recorded scores can be heard on numerous DVD releases from Kino Video and others. Ben's composed ensemble scores for films by Chaplin, Keaton and Lloyd are performed around the U.S. every year by orchestras and by concert bands. If you missed (or saw) Hannah at Premiere Stages, you might want to check out this play about how Anne Frank informed the life of the playwright/actress Carol Lempert. Writer-performer Carol Lempert has crafted her enduring involvement with the story of Anne Frank and its influence in shaping her own Jewish identity into an absorbing one-woman show. More than once during After Anne Frank, Lempert observes, "Everyone tells me I look a lot like Anne Frank." And her experiences in performing in various stage adaptations of Anne's diary—first as Anne; then as Anne's sister Margot; and finally as their mother Edith—make up much of the piece. However, Lempert's play, smartly directed by Janice L. Goldberg, is much more than a dramatized résumé. While celebrating the continuing inspiration of Anne Frank's humanity, the script passionately questions whether the retellings of Anne's story are part of a "commercialization of the Holocaust" and whether the artificialities of the stage can come anywhere near portraying the real-life tragedy. It also looks at the deep differences between the stage adaptations: the Broadway version by Frances Goodrich and Albert Hackett and Meyer Levin's adaptation. (The controversy over Levin's play was also the subject of Rinne Groff's Compulsion at the Public Theater earlier this year). Lempert melds all this with her own lively and expressive presence, making this an entertaining, touching and provocative 80 minutes of solo theater. Click here to watch a slideshow; then click here to purchase your tickets today! Bring a group of more than 10 people and get up to 30% off! Click here to learn more about our Group Sales program. 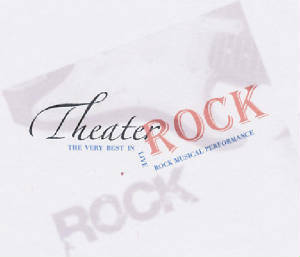 Theater Rock is a collection of the best songs from the best rock musicals performed live. Theater Rock combines outstanding songs from contemporary Broadway presented by talented musicians and singers from a variety of musical paths, demonstrating an amalgam that can make for a unique night of aural entertainment and sheer enjoyment. The ensemble showcases the talents of some of the most dynamic vocalists in the tri-state area. Backed by a powerful band that delivers an animated performance with high musicianship, Theater Rock provides moving tribute and deep meaning to the rock musical theater genre. You might call it democracy. Or to some it may look like anarchy. But in the end it sounds divine, when the youthful chamber orchestra, A Far Cry, flouts musical convention to do its own thing. For the audience, the concert was a great treat. Classical music has not been much in evidence since the handsome new performing venue opened last year, and those of us who enjoy hearing it live generally have to travel. The democracy/anarchy observation recognizes the fact that, among these talented string players, there is no String-Player-in-Chief. This group plays without a conductor. The signal to begin is so subtle that, even if you are watching for it, you will probably miss it. And it travels. It’s not always the same person. The musicians’ positions on the stage also change with each piece. Considering the hierarchical, often dictatorial structure of the normal orchestra, this is radical. But if you think of them as an overgrown string quartet, it makes sense. The program they played was intriguing. They began with the Triple Quartet by contemporary American composer Steve Reich. Widely respected by some critics as one of the 20th century’s greatest composers, Reich is a master of minimalism, the music aggressively repetitive. The Triple Quartet represented the style with irritating precision. As if rewarding us, the ensemble moved on to Beethoven’s String Quartet No. 11 in F minor, called Serioso, arranged for string orchestra. This piece was composed in 1814, a time of great personal upheaval in Beethoven’s life, but also a period of great musical creativity. The quartet, while majestic in its classicism, has some surprises that make it sound unexpectedly modern at moments. For sheer melodic beauty, the Ancient Airs and Dances, Suite No. 3 by Italian composer Ottorino Respighi won the prize. Respighi, who lived from 1879 to 1936, might be expected to ride the cusp between late Romanticism and Modernism. Instead, his work is steeped in the Baroque, taking old themes and reframing them in unique orchestrations. One major difference between Respighi and Antonin Dvorak, whose Serenade for Strings in E major closed the program, is in the area of thematic development. Like the Italian composer, Dvorak’s was rich in melody. The Czech composer, however, was brilliant at developing themes. The Serenade, like much of his music, contains echoes of Bohemian folk melodies of his youth. In his later years, including a lengthy and productive visit to the U.S., during most of which he lived in New York City, he incorporated American folk themes in compositions like his Symphony No. 9, From the New World, and his String Quartet in F, The American Quartet. We are grateful to the Centenary Stage Company for making this gesture of recognition of the sorely-neglected audience for classical music and hope more stellar classical musicians will follow in the footsteps of the marvelous A Far Cry. And maybe the young Bostonians will come back. White Castle can be used as an enticement. Tickets can be purchased by calling Kean Stage Box Office at 908.737.SHOW (7469), online at http://enlowhall.kean.edu, or in person at Kean University’s Wilkins Theater Box Office located at 1000 Morris Avenue, Union. American Grammy Award-winning and internationally renowned all-woman African-American vocal ensemble, SWEET HONEY IN THE ROCK, captures a wide range of musical genres including blues, spirituals, traditional gospel hymns, rap, reggae, African chants, Hip Hop, ancient lullabies and jazz improvisation. SWEET HONEY IN THE ROCK is one of the most celebrated international ambassadors of a cappella music. The troupe expresses their history as women of color through song, while entertaining their audience, offering added interpretation through the use of American Sign Language. They have together worked from four women to the difficult five-part harmony with a sixth member translating the sign language. Although the members have changed over three decades, they continue to sing and have helped to produce several children's records as well as those intended for adults. SWEET HONEY IN THE ROCK was founded in 1973 by Bernice Johnson Reagon who founded the group out of singers from a vocal workshop she was teaching with the Washington, D.C. Black Repertory Company. Reagon retired from the group in 2004. The name of the group was derived from a song, based on Psalm 81:16, which tells of a land so rich that when rocks were cracked open, honey flowed from them. Johnson has said that this first song in which four women blended their voices was so powerful, that there was no question what the name of the group should be. The members are Ysaye Maria Barnwell, Nitanju Bolade Casel, Aisha Kahlil, Carol Maillard, Louise Robinson and Shirley Childress Saxton (Sign Language Interpreter). SWEET HONEY IN THE ROCK has received several Grammy Award nominations, including one for their children's album, Still the Same Me which received the Silver Award from the National Association of Parenting Publications. They won a Grammy Award in 1989 in the category of Best Traditional Folk Recording for their version of Leadbelly's "Grey Goose" from the compilation album Folkways: A Vision Shared. WQXR is a media sponsor of Gene & Shelley Enlow Recital Hall. For complete Enlow Hall 2011-12 Season information, please visit the website or contact Ms. Cory Ransom, Director, Operations 908.737.5932, ransomco@kean.edu. BERGEN COUNTY PLAYERS’ SECOND STAGE PRODUCTION RUNS JUST 2 PERFORMANCES! BCP’s Second Stage season kicks off with a story that centers on Harry Nash, an extremely shy and bland small-town man. However, whenever he takes a part in the local, amateur theater production he becomes his character to an overwhelming extent. Soon Helene Shaw, a recent addition to the town, falls in love with Nash—but only with his character in the play. And no, this show is in no way based on any members of the Bergen County Players! TICKETS: $18 ($16 for Seniors/Students). Winner of the Lucille Lortel Award as Best Off-Broadway Play and a long-run New York success, this witty, perceptive play blends mordant humor with moments of affecting poignancy. The time is the mid ’70s, the place a city in upstate New York. John, a playwright, returns to his family’s house, bringing with him a new play which he has written about them. His purpose is to obtain their permission to proceed with production, but his wealthy, very proper parents are cautious from the outset. For them the theatre is personified by the gracious, comforting era of the Lunts and Ina Claire, and they are disturbed by the bluntness of modern plays. And there is also John’s sister Nina to contend with, although her reservations have to do with the fact that John has given her character such a minor role. Their confrontation takes place during the ritual of the cocktail hour, and as the martinis flow, so do the recriminations and revelations, both funny and poignant. In the end, it is evident that what John has written is closer to the truth than his family has heretofore been willing to admit, and that beneath their WASP reserve, his parents and siblings are as beset with uncertainties and frustrations as their presumed “inferiors.” But while they seem shackled by the past and tantalized disappointments, with unfailing warmth and humor, pained resignation is converted into cautious but hopeful anticipation. The cast includes: Michael Foley (Andover) , Penny Hoadley (Brookside), AnnDonne Pepito (Somerset), and Steve Catron (Mendham). NUTTY BY NATURE PLAYS PIANOS! The Herald News has called them, "Bawdy, brilliant and proof that ingenuity can strike at a moment’s notice." The show is based entirely on audience suggestions! “After all,” says executive director Bob Sapoff, “the only thing better than having a great idea is watching it come to life right before your eyes”! In addition to providing the material for the show, audience members are encouraged to bring their own crazy “props” that the actors will use during the show! Nutty By Nature has been making audiences laugh throughout the metropolitan NY/NJ area for the past 14 years. In addition to having performed at The NJ Performing Arts Center (NJPAC), The South Street Seaport,12 Miles West, Theater Under the Stars,The Black River Playhouse, Luna Stage, Barnes & Noble and Borders bookstores; they were featured on the E! Television/Style Network’s reality TV series, Try My Life. Executive director Bob Sapoff has been profiled on ABC News, CNN, NY 1 News and in the Star Ledger, Herald News, and Daily Record. A professional actor for over 20 years, his theatre credits include the role of Harpo in the Off-Broadway revival of The Cocoanuts, which was named one of the 10 best Off-Broadway productions of that year. Bob has appeared on Nickelodeon and in countless television commercials (including a Clio Award winner) and print work nationwide. Other members of the troupe include Troupe Director Paul Acocella, Elaine Brodie, Jody Eiden, Laura Hartin, Robin Lewis, Shelly Miller, Wendy Tiburcio, Jackie Valeo and Ted Wrigley. Order tickets online at www.brownpapertickets.com. Two con-men—one suave and sophisticated, one crude and uncultured—who prey on wealthy tourists, compete for the right to operate exclusively in the resort town of Beaumont-sur-Mer on the French Riviera. Starring Gene Ciccone, Jim Coe, Selena Drobnick, Mentha Marley, Betty Slevin and Laura Olsson. Based on "The Kensington Stories" by Sally Benson and the MGM motion picture "Meet Me In St. Louis"
TICKETS: $25 for adults and $20 for students (18 and under). For tickets: visit www.summitplayhouse.org/tickets, or call 908.273.2192. Summit Playhouse kicks off its 94th season and stages its 301st production with one of the finest American musicals, MEET ME IN ST. LOUIS, an adaptation of the movie musical. Set in the early 1900’s, it is the story of the Smith family and their joys and tribulations in a time when things were simpler—or were they? Humor, love and respect tells the family story enhanced by memorable musical numbers. As part of a commitment to give back to our community, the Summit Playhouse asks patrons to bring non-perishable food items to be donated to the Community Food Bank of New Jersey. Donations will be accepted on all performance evenings and matinees. The Summit Playhouse’s production of MEET ME IN ST. LOUIS features Aaron Braden, Arnold Buchiane, Naomi Fisch, David Hoffman, Morgan Kelleher, Anna Lovallo, Alice Regan Moynahan, Stacey Petricha, Alex Post, Todd Shumpert, Sam Spare, Sky Spiegel and Rosemary Walter. “Blast off” with the Drama Desk nominated Radiotheatre and their new live stage version of the most influential science fiction story of all time…H.G.Wells’ THE TIME MACHINE! Complete with a great cast of storytellers, an elaborate soundscape, and an original orchestral score! TICKETS: $20-$25 with discounts for seniors and students. Thursday evenings are “family night” at CSC, with a two-for-one “rush” ticket price, available at the door on the night of performance. By combining a unique presentation with unnerving sound effects, symphonic background music, lighting, and dramatic tension, RadioTheatre brings a modern innovative piece of work to contemporary audiences, while also celebrating the genre of audio drama which inspired the production. The RadioTheatre production of The Time Machine is directed, written, and sound-designed by Dan Bianchi, who has spent over 35 years in theater, film, and fine arts. Bianchi founded RADIOTHEATRE in 2004 and has since produced over 40 live shows and 240 performances at New York City venues. He has been nominated for a 2010 Drama Desk Award and has won 2 NY Innovative Theater awards for Best Sound and Best Music. The cast of The Time Machine features Frank Zilinyi and Kate Siepert. Returning for his 35th show with Radiotheatre, sound engineer Wes Shippee is a Drama Desk-nominated sound designer, audio engineer, and musician. His notable projects include the Radio City Christmas Spectacular and multiple New York Innovative Theatre Awards during his four years with RADIOTHEATRE. Now in its 7th season, the RadioTheatre company combines the artistry created during the Golden years of Radio with Story Telling. Using great voices, music and sound effects, as well as the individual imaginations of its audiences, the company calls up the primary ingredients to provide a memorable, live, theatrical experience. With 21st Century touches, such as cinematic scripts, fully scored orchestral sound tracks , a plethora of aural effects and, a few visuals effects as well, the company creates a unique production with a non-traditional, modern, innovative stage presentation. Fairfield NJ resident Kira Shabbab (below left) and Waldwick resident Taylor Schwencke (below right) share the lead role! Performances are February 2, 3 and 4 at 8 pm and February 4 at 2 PM. Rehearsals will be held 3-4 times per week in January 2012 plus 3 music rehearsal prior. Ridge Light Opera seeks experienced cabaret style singers/performers to sing a large array of Cole Porter songs in this carefully scripted show published by Samuel French. This show involves three male and three female adult singers of various ages. All singers must read music and move well on stage. Auditions are by appointment only and will be selected from pictures and resumes e-mailed to ridgelightopera@optonline.net. No calls please. Pay is honorarium plus travel expenses. Non-Union. Performances will also be held in Basking Ridge, NJ. RLO seeks only NJ based performers with their own means of transportation. BROOK ARTS CENTER SPRINGS TO LIFE OCTOBER, NOVEMBER & DECEMBER! BE A PART OF IT! A special Halloween treat awaits movie goers! The classic silent film, The Phantom of the Opera, starring Lon Chaney, will be accompanied by Bernie Anderson on the Wurlitzer Theatre Pipe Organ. TICKETS: $8; $7 for seniors and those wearing costumes. Sponsored by the Garden State Theatre Organ Society. For info call Cathy Martin, 973.256.5480. The Board of Directors will be operating the beer/wine garden. WHEN: Thursday, December 29, at 2 PM and on Friday, December 30, at 7 PM. Come see an extraordinary display of Magic & Illusion.